유로아트 주최 겨울 제주 "유로 뮤직 아카데미"에 음악도 여러분의 성원과 함께 참가해주셔서 잘 마쳤습니다. 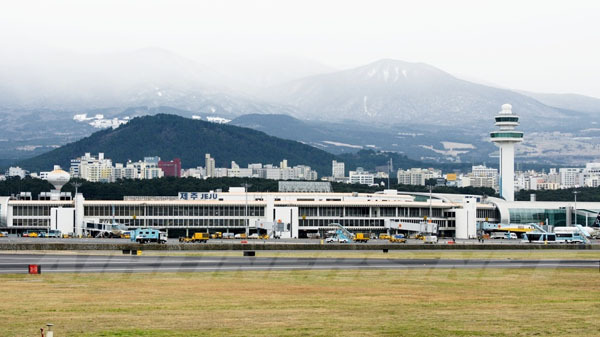 2019년에도 새로운 장소와 새로운 내용으로 여러분과 함께 합니다. 여러분의 관심과 참여 고대합니다. 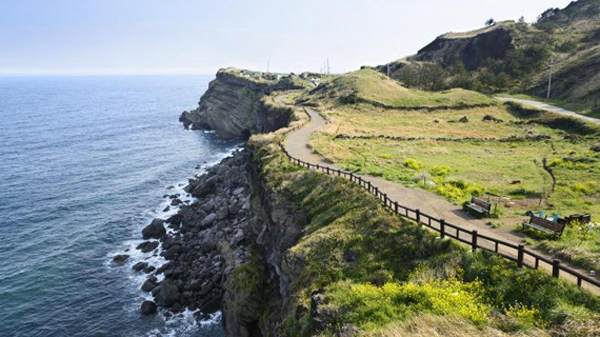 "Euro Music Academy" concluded in Jeju Island, South Korea in February. 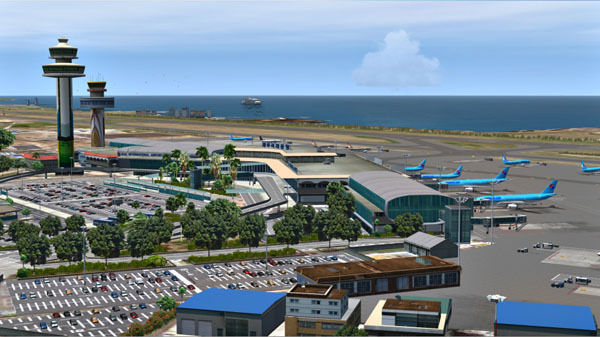 We will look forward to meeting you in 2019 winter! The details will be updated later. 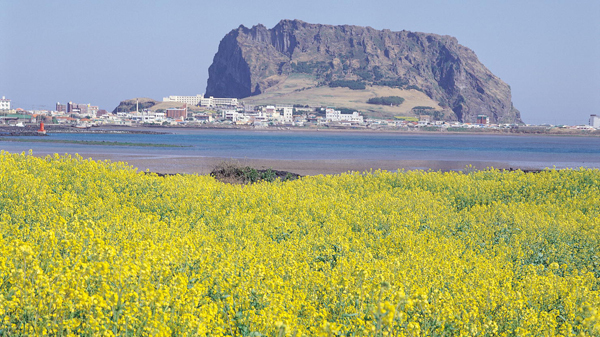 Jeju province encompasses the South Korean island of Jeju in the Korea Strait. 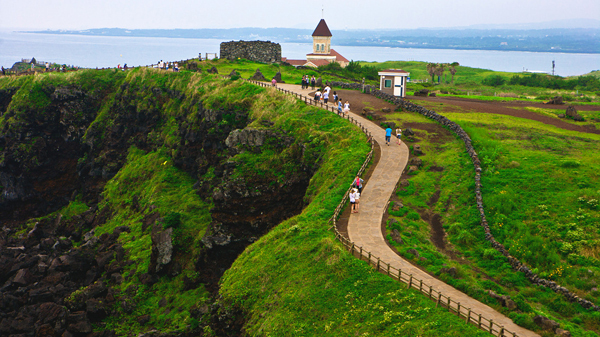 It's known for its beach resorts and volcanic landscape of craters and cavelike lava tubes. Hallasan Mountain, a dormant volcano, features hiking trails, a crater lake at the 1,950m summit and nearby Gwaneumsa Temple. The Geomunoreum Lava Tube System includes 7km-long Manjanggul Cave, created centuries ago when Hallasan was still active. 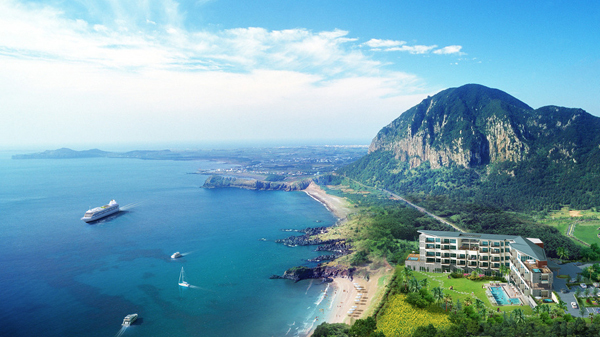 We look forward to meeting you in Jeju! will be done in the hotel. It is very comfortable and convenient. 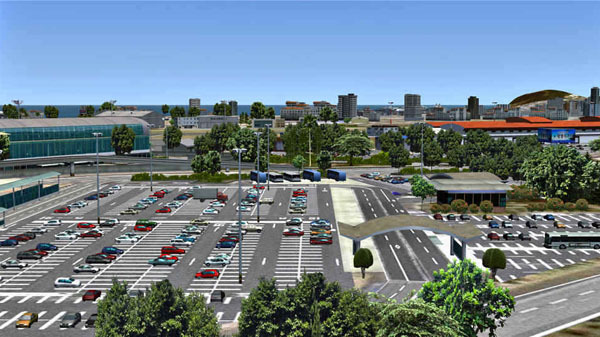 When a participant arrives individually : Taking Airport Shuttle is best. The detailed information will be given to each participant personally. * Additional lesson application is available. * The above schedule may be subject to change. 50% will be refunded for cancellations received before January 15, 2017. Cancellations received after January 15, 2017, are non-refundable. Young Uck Kim, one of the world's most acclaimed violinists, has enjoyed three decades of international celebrity and today continues to captivate audiences as soloist, recitalist and chamber musician. He was violinist of the Beaux Arts Trio from 1998-2002. Born in Seoul, South Korea, he entered the Curtis Institute of Music in 1961, where he studied with the legendary Ivan Galamian. 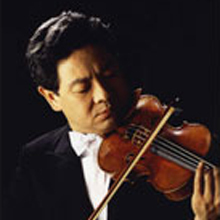 Since his 1963 debut in a nationally televised performance with Ormandy and the Philadelphia Orchestra, Kim has earned a worldwide reputation as one of the great violinists of our day. 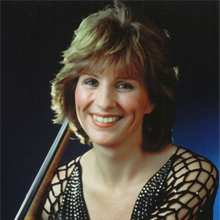 Kim has appeared in recital across the United States and as soloist with virtually every American orchestra, including those of Cleveland, Chicago, Philadelphia, New York, Los Angeles, Houston and Washington, D.C. He performs extensively throughout Europe, as well as in the Far East, where he has annual engagements in Hong Kong, Japan and his native Korea. He has collaborated with many great conductors including Leonard Bernstein, Christoph Eschenbach, Herbert von Karajan, Erich Leinsdorf, Kent Nagano, Ormandy, Seiji Ozawa, Andre Previn, Esa-Pekka Salonen, Jukka-Pekka Saraste, Leonard Slatkin, Michael Tilson Thomas and Franz Welser-Most, among others. In addition to recitals and orchestral tours, Kim's schedule regularly includes special projects to which he is deeply committed. He has collaborated with such artists as Peter Serkin, Emanuel Ax, Yo-Yo Ma, Previn and Eschenbach on a wide variety of programming. One of the most active violinists and violin professors in South Korea, Joseph Kim studied with legendary Oscar Shumsky both at the Curtis Institute of Music and Juilliard School of Music. 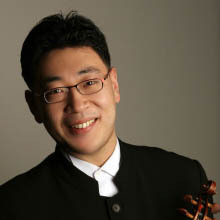 His extensive musical career includes serving as a concertmaster for the New Jersey Symphony Orchestra at the age of 27, later concertmaster of New Orleans Symphony and Korea's KBS Symphony Orchestra. Also as a guest concertmaster of the New Mexico Symphony, Japan's Sapporo Symphony and many other orchestras. He made his solo debut with the New Jersey Symphony at Carnegie Hall and concertized widely covering the entire globe, appearing at most prestigious venues of the world with his Kumho String Quartet. Prof. Kim was awarded "Musicians of the Year" in 1995 by the Musician's Guild of Korea. He was also appointed as a Cultural Ambassador of Korea and received Presidential Award for his achievements in creating Kumho String Quartet and performing widely throughout the world. He also served as a member of jury at international competitions, including Tong Yong International Competition and Tchaikovsky International Competition. Most recently he was awarded performance achievement award given by Korean Management Association. 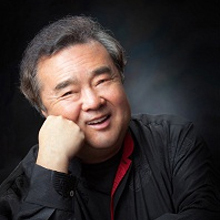 A devoted educator, Prof. Kim has held professorship from 1990 to 2010 at Han Yang University College of Music, where presently, he holds Professor Emeritus position. Currently, he is a music director of K.K. Chamber Ensemble, Nirvana Philharmonic and New Asia String Quartet. Maria Kliegel is one of the leading cello virtuosos of our time. Her international career began when she won the "Grand Prix" of the Concours Rostropovich" in 1981 in Paris. She is also one the best-selling cellists world wide, and her recordings are always welcome with enthusiasm. During one of the recording sessions of Schnittke's first concerto for violoncello and orchestra, the Russian composer came to acknowledge that as the standard recording of this work. Her many recordings for Naxos include concertos and other cello works by Beethoven, Bloch, Brahms, Bruch, Donhanyi, Dvorak, Elgar, Lalo, Saint-Saens, Shostakovich, Schumann, Taverner and Tchaikovsky. She has also recorded a large volume of chamber music by Brahms, Chopin, Demus, Gubaidulina, Kodaly, Mendelssohn and Schubert. She will be recording Beethoven's complete works for cello and piano, Haydn's cello concertos and Bach's solo cello suites. Maria Kliegel appears regularly as a guest soloist with leading orchestras at major concert venues all over the world. She has an exceptionally wide repertoire in her command: from the great masterpieces of the past to outstanding compositions by contemporary composers. Her versatility and her interests to explore new repertoire has repeatedly stimulated contemporary composers to write music for her. For example, she initiated the work Hommage a Nelson by Wilhelm Kaiser-Lindermann, dedicated to Nelson Mandela. As a result of the composition's success Maria Kliegel was invited by the former South African President to give a private recital. Maria Kliegel also takes care of the next generation of cellists. She has been teaching master classes at the University of Music and Dance, Cologne in Germany since 1986. She played the legendary violoncello "ex Gendron" made by Stradivarius in 1693. 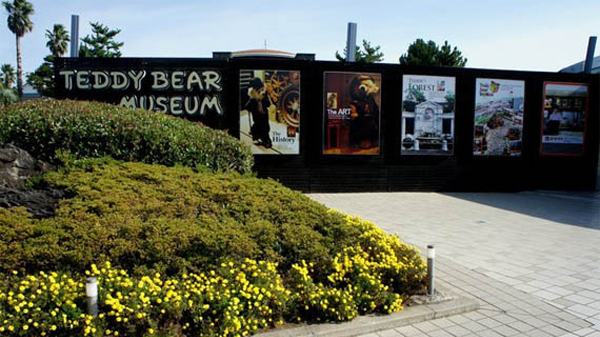 For more than 30 years, it was owned by Maurice Gendron and was eventually put at her disposal by the Stiftung fuer Kunst und Kultur in NRW (Foundation for the Arts and Culture in North Rhine Westphalia). In November 1998, she has been appointed member of the board of the Deutscher Musikrat. In 1999, she was awarded the Order of Merit of the Federal State of North-Rhine Westphalia by Minister-President Wolfgang Clement. One of the highly acclaimed violinists in Korea, Professor Bok Hyun Kim went to USA in 1981 for further violin studies, completed with full scholarship the degrees of master and doctor of musical arts in University of Miami. While studying, she already had musical activities, having concertized as a principal of University of Miami Opera Orchesta, and a member of Florida Philharmonic Orchestra, or having taken part in the L'Aquila Music Festival in Italy. After having come back to Korea - her home country, she still had motivatedly concert activities - she had a recital annually and was invited to have a recital at the event of the 1st anniversary of Korea Post publishing which was held in Las Vegas, USA. She had performed with I Musici de Montreal Chamber Orchestra, Budapest Chamber Orchestra, World Symphony Orchestra, Nirvana Chamber Orchestra. She was also invited to perform at the Friday Concert of Kumho Art Hall and with Masan Philharmonic Orchestra at the Korea Philharmonic Orchestras Festival. Professor Bok Hyun Kim founded 'Daejin Trio' composed of professors of Daejin University. This trio had concerts like Iwon Culture Center Invitation Thursday Concert or Trio recital with various repertoire. Acclaimed as "Successful violinist who is delicate, analytical, persuasively reifying inner emotions of music", Violinist Bok Hyun Kim was invited as a Jury member to Korea-national leading competitions and was the Dean of Daejin University College of Arts. She is a Viiolin Professor at the Daejin University. 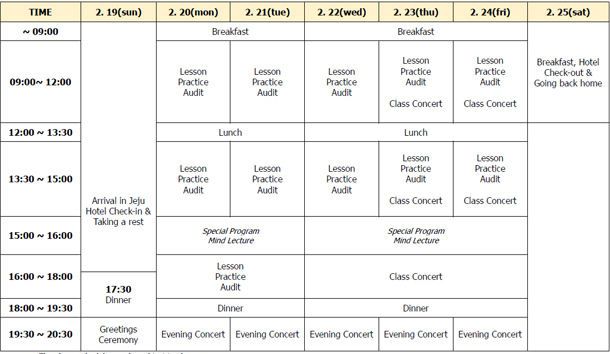 The concertmaster of Gwacheon City Symphony Orchestra, Violinist Jae Won Ryu studied at Peabody Institute of Music Preparatory School in USA, Seoul Arts High School and Seoul National University College of Music where he was graduated with highest distinction. He had also won at numerous competitions. After then, he went to Germany and studied with Prof. Ida Bieler at Robert Schumann University of Music, Duesseldorf. His professor Ida Bieler said "Jae Won Ryu, his playing is very similiar with that of my mentor professor Oscar Shumsky. Ryu's playing Bach, Paganini and Ysaye has a very strong character, producing a fantastic atmosphere." Jae Won Ryu had 14 recitals in German cities like Kassel, Berlin, Hagen, Switzerland, Italy and other European countries. Having been highly praised, he had concert activities as a member in the West German Radio Symphony Orchestra, while he was studying in Germany. After he came back to South Korea, he had an orchestral debut stage successfully by performing Richard Strauss' Ein Heldenleben. He was appointed as an Adjunct Professor at SuhKyung University in Seoul. Currently he is teaching at Yewon Arts Middle School, Seoul Arts High School, Deokwon Arts High School, Kyeonggi Arts High School, Kyunghee University, Hanyang University. He is also a member of Seoul Chamber Orchestra, the 1st violinist of KCO sextet and the Concertmaster of Gwacheon City Symphony Orchestra. During her studies, she has served as undergraduate violin faculty at the Naugatuck Valley Community College and the State University of New York, Stony Brook. 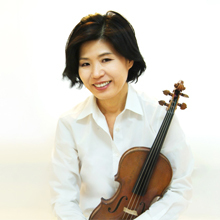 Currently, she is a faculty member of the Korea National University of Arts, Chung-Ang University, member of the ‘We Soloists’ Chamber group and the JK Ensemble. 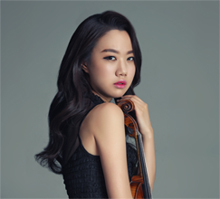 She has also served as Concertmaster of the New Korea Philharmonic Orchestra which she performed with as a soloist in multipule venues. 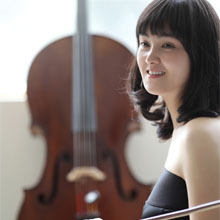 "A musician with rich tones and chrisma', cellist Jin Kyung Won graduated from Yewon Arts Middle School and Seoul Arts High School, then, went to Germany and accomplished her bachelor and master degrees with highest distinction at Essen Flokwang University of Arts, studying with professor Young Chang Cho. After then, she built a firm foundation as professional musician by acquiring the master and Konzertexamen degrees in the University of Music and Dance Cologne, studying with professor Maria Kliegel. Jin Kyung Won had won numerous prizes at national and international competitions in South Korea and Europe, including the 2nd prize(without 1st prize) at Llanes International Competition in Spain and the 1st prize at La Cellissima Cello Pro Concours in Germany. Jin Kyung Won had developed her musicality, participating in international music academies such as Kronberg Festival, Euro Music Festival, Forum Artium Festival, Atri Festival Italy, Music Alp France, Montpellier Festival, Salzburg Summer Academy Austria and others, where she had been recognized for her talent and had been always selected with honors to perform at final concerts. She had participated in many masterclasses held by world-renowned cello professors such as Jens Peter Maintz, Arto Noras, Peter Bruns, Johannes Moser, Frans Helmerson, Wolfgang Emanuel Schmidt, Gustav Rivinius, Christoph Richter, Alexander Huehlshoff, Tilmann Wick, Christoph Henkel, etc..
Jinkyung Won has concertized actively in South Korea and Europe. She had invited to perform at concerts in Atri Italy, Salzburg Austria, Praha Czech and diverse German cities like Halle, Wuppertal, Aachen, Cologne, Bonn, Kronberg, Essen, Duisberg and more. In Germany, in January and February in 2016, she performed Elgar Cello Concerto in Bonn. In South Korea, she was invited to perform Dvorak Cello Concerto with Prime Philharmonic Orchestra at Seoul Arts Center Concert Hall by the annual performance of Primo Cantante in 2014 and received a huge acclaim by audiences. Jinkyung Won had her solo recital in Kumho Art Hall in December 2015 in big success. Apart from her activities as solo artist, she is an active chamber musician as well as a cello teacher. As a cellist of Anima Trio with violinist Aleksey Semenenko (2nd prize winner at 2015 Queen Elizabeth International Competition) and pianist Meri Tschabaschwili (1st prize winner at 1997 Rachmaninoff International Competition), they had the Anima Trio Concert in Peregee Hall, Seoul in November 2016. Jinkyung Won is teaching at Seoul Arts Middle School and Seoul Arts High School. 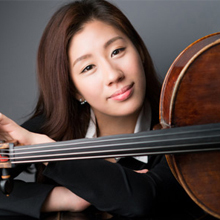 Cellist Yun Cheong Boo graduated at the top of her class from Korea National University of Arts in Seoul, Korea. She received her Master's Degree from Eastman School of Music with Anne Haydn Mcquay scholarship. She also participated in the National Orchestral institute with a full scholarship, as well as attending various festivals like the Elan international Music Festival and Ishikawa Music Festival. Having received awards at KBS Competition and Seoul Youth Chamber Music Competition, Yun Cheong Boo was recognized for her musical talent. She has performed in the Korea-Japan exchange music concert with Kim Duck Soo - Samulnori and also collaborated with Korean orchestras such as Suwon Philharmonic, Jeju Philharmonic and Iksan Philharmonic. She was a principal of Philharmonia Korea and a guest principal of Eurasian Philharmonic. Performing with Hwa-eum Chamber Orchestra, The Space Ensemble and JK Chamber Ensemble, Ms. Boo played at the Asia Philharmonic Orchestra's 10th Celebration Concert with Mastro Myung Hun Chung. She participated in Tongyeoung International Music Festival and received an award as the cello principal of Ensemble Be. She was also invited to Seoul Arts Center's Chamber Music Festival and play at the Opening Concert. Currently, Yun Cheong Boo teaches at Korea National University of Arts, Catholic University, Seoul Arts High School, Duckwon Arts High School, Kyewon Arts High School and Merri Celli(Music Director).